This year, unlike past Christmases that have been spent in tiny apartments, I feel like I have an overwhelming amount of area I need to decorate for Christmas. What I thought was enough Christmas decorations to be considered close to Christmas overload when you walk through the door, now seems like the bare minimum allowed to be able to truthfully tell people, “Yes. I have decorated for Christmas.” There’s just so many empty walls! So much space to decorate! This new home is fabulous having a new drawing board but it is overwhelming. This year I’m diggin’ the DIY mini Christmas trees that I’ve been seeing all over Pinterest. Besides the fact that it’s something fun to create, it also will help fill some empty surfaces around our home for very cheap. 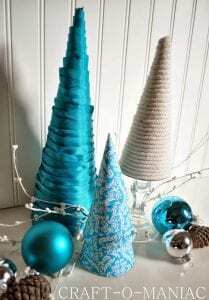 Below, I have rounded up some fabulous diy Christmas trees that I will soon be creating to fill the space above our piano and new shelves (post coming soon on those awesome creations!!). Enjoy! This lady at BobbleHeadBaby did 26 classy, beautiful Christmas trees throughout her home last year. Love seeing the use of such simple materials turn into such beauty. Sarah @ Does This Blog Make Me Look Fat? has six unique ideas of how to make trees using cereal boxes. I also love that she used spray painted bubble wrap to make some trees!! So fun and easy. 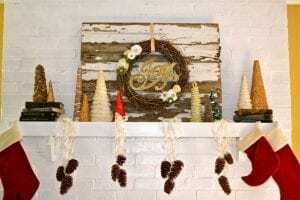 Candace @ Vintage News Junkie is in the middle of a 12 Days of DIY Christmas Trees. I love what she has done so far!! She just finished a video tutorial on how to make a bubble burlap tree. 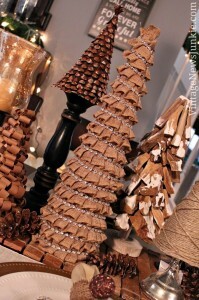 Jennie @ Craft-o-Maniac shared three different diy trees she made. Love the wintery blue colors! So classic. 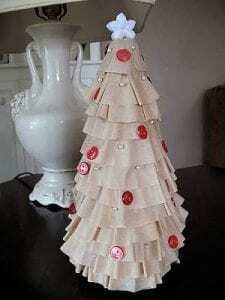 Crafts by Amanda designed a vintage coffee filter Christmas tree. Love the natural look of this! Don’t these inspire you to get your act together and see what type of Christmas trees you can craft up using things found around your home? I know it has my itching to start searching. I’m excited to spend some nights this week to make my own to fill my home. 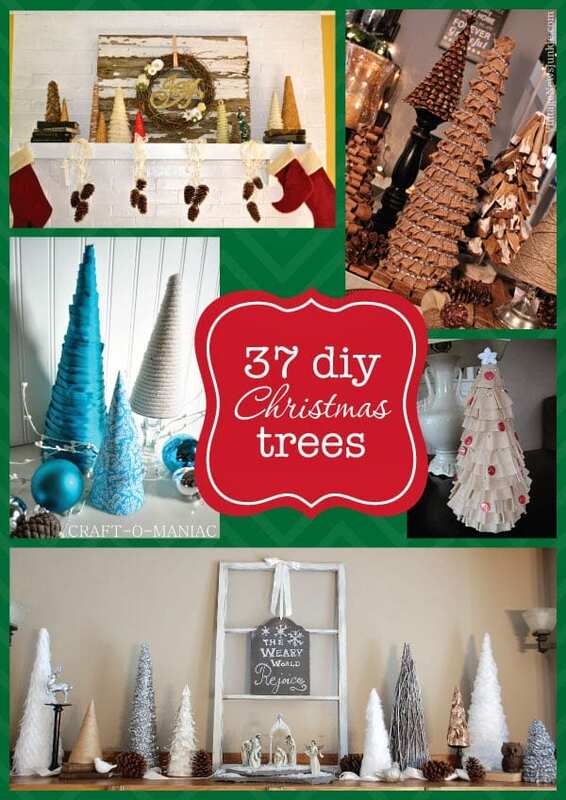 Did you create any diy Christmas trees this year? Would love to see what you created. Leave the link in the comments below.